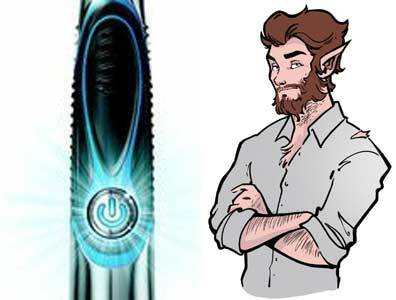 Australia take heed; the Gillette Shave Trends Report has today revealed that 90% of men stop shaving before the weekend leading to a new sub species of male. The report has found that each weekend the streets of urban and country Australia are becoming overrun with men sporting scruffy, unkempt and scratchy beards all because they can't be bothered (61%) to shave, a phenomenon that Gillette has coined The Weekend Werewolf. Most Australian She-Wolves are avoiding getting close to their feral partners until the weekend is over, with 65% of women in a relationship with a Weekend Werewolf preferring to kiss their Alpha-Male when he's clean shaven on Monday morning. Gillette has found that the issue is so widespread that Weekend Werewolves have been spotted regularly in dark bars, purchasing steaks at the supermarkets and even found asleep on couches in suburban living rooms. 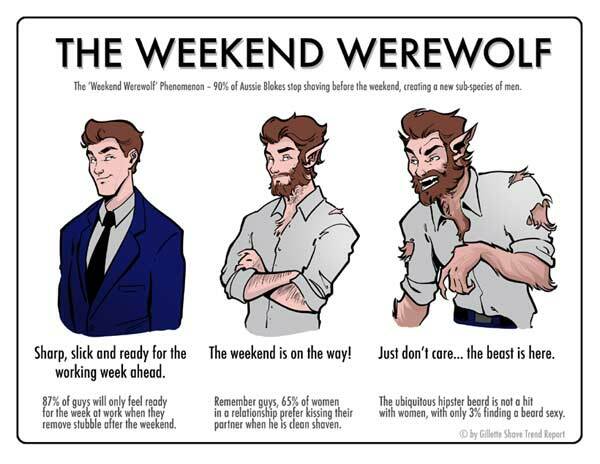 The report has highlighted that becoming too relaxed over the weekend leads to a decrease in mating confidence with only 4% of men think they have a shot with the ladies when sporting with Weekend Werewolf stubble. While this mysterious creature will ditch the razor because they don't have to work (38%) on Saturday or Sunday, the report also revealed that the transformation is temporary. 54% of men revert back to their usual clean shaven state on Monday morning and 87% of men only feel ready for work once the stubble is removed. 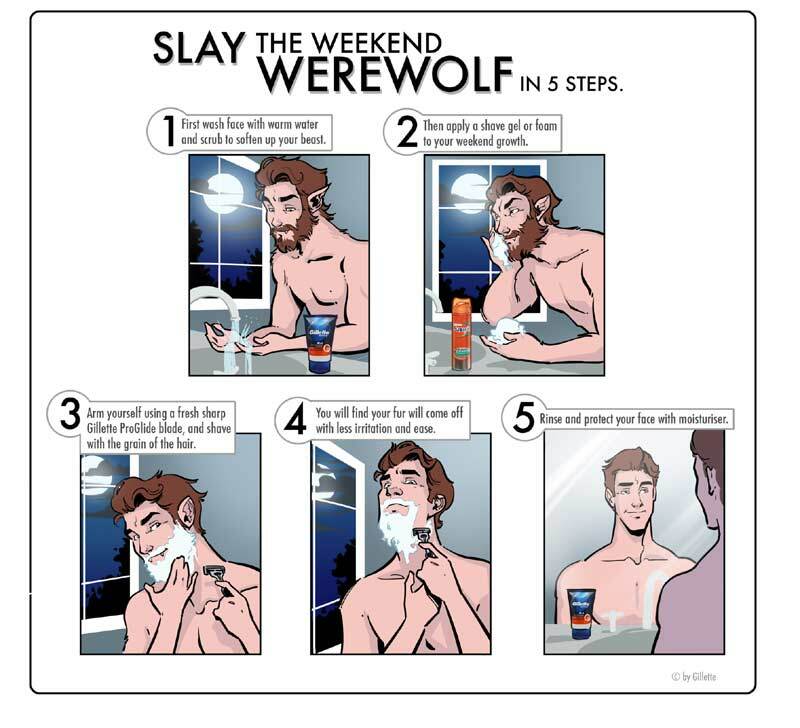 'I am definitely guilty of transforming into a Weekend Werewolf. I think once the weekend approaches us blokes tend to become a bit more laid back, get a bit scruffy and sport a bit of stubble – a look my wife is not particularly keen on. She is definitely quicker to go for a cheeky kiss after I have had my Monday morning shave", said Gillette Ambassador Tom Williams. Gillette spokesperson says, 'When you stop shaving for a few days it can be harder to slay the beast as the beard growth is quite thick, so take care you don't nick or irritate the skin." Gillette Fusion ProGlide Manual and Power provide an exceptionally close and precise shave, cutting effortlessly through a weekends worth of facial hair with thinner, finer blades that turn shaving into gliding so men can look and be their best. The Gillette Fusion ProGlide Power is available in Australia at leading outlets from RRP $16.99. For stockist enquiries please call: 1800 148 022.